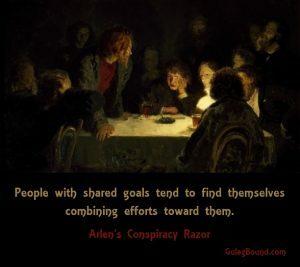 What Adolf Hitler wrote about messaging in Mein Kampf predates and almost exactly mirrors what Sol Alinsky wrote many years later in Rules For Radicals, a book that many progressives consider their political bible, but with one exception… Hitler was much more open about referring to what he was doing as propaganda for political purposes. 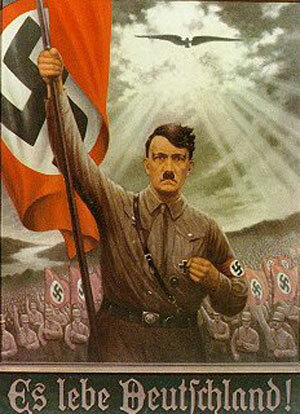 Adolf Hitler and the Nazi’s moment came with the worldwide Depression of the 1930’s which devastated Germany’s economy. The chancellor at that time, the Catholic Centre Party’s Heinrich Brüning, attempted to stave off some of the worst effects with various austerity measures, similar to those of President Hoover in America. However, the measures were unsuccessful and only added to dissatisfaction with the Weimar government, which many Germans felt had been forced on them by the victorious allies anyway. 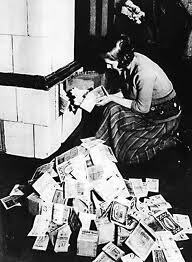 The same sentiments ordinary Germans had voiced during the Hyperinflation were repeated… that the misery was due to the government’s policies, the fat cats, the speculators. This was amplified by the failure of several large banks. Such an environment was almost tailor made for Hitler, his Nazis, and their message, targeting the 99% and assuming the mantle of the champions of the middle class and social justice. In the 1931 elections, the Nazis gained 18.3% of the votes and became the second largest party in the Reichstag. In the years between 1931 and 1933, the Nazis increased their share of the German electorate, getting to 43.9% of the vote. Germany’s government was ineffectual and unable to act because of partisan politics and the difficulty in consensus between the Nazis, the Communists, the Catholic Centre Party, President Paul Hindenburg’s German National People’s Party (DNVP) and some of the other smaller parties. In those conditions, Hindenburg was convinced to appoint Hitler as Chancellor in 1933 as part of a coalition of the Nazis, DNVP, and Catholic Centre Party. The idea was to unify and take action for the good of the nation, or as a group of influential German politicians, industrialists and military figures wrote to President Hindenburg, to appoint Hitler as leader of a government “independent from parliamentary parties”, which could turn into a movement that would “enrapture millions of people”. Hope and change with a gemütlichkeit flavor, nicht wahr? After the burning of the Reichstag (which, really, can be considered street theater and legitimate protest designed to provoke a public response), Adolf Hitler wasn’t one to let a good crisis go to waste. He promptly brought the Ermächtigungsgesetz (Enabling Act) to a vote in the newly elected Reichstag. It was designed to bypass partisan gridlock in Berlin, gave Hitler’s cabinet full legislative powers for four years and allowed Hitler’s cabinet to bypass Germany’s constitution. After the Catholic Centre Party agreed to support it, it passed by a vote of 441–84. 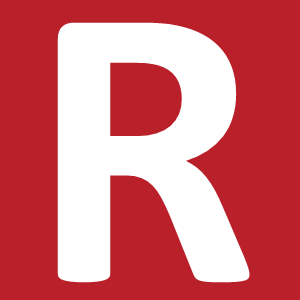 Adolf Hitler was now in power to enact a number of important reforms and institute his progressive program without being impeded by a set-in-stone constitution or partisan bickering. He promised Germans a new society and his word for this was ‘volksgemeinschaft’, a ‘people’s community’. He ended labor abuses and a number of strikes plaguing Germany by creating the German Labor Front as an umbrella organization to represent all workers, administrators, and company owners. 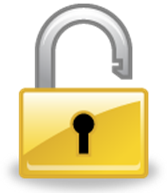 He banned strikes, firings without government approval and lockouts. 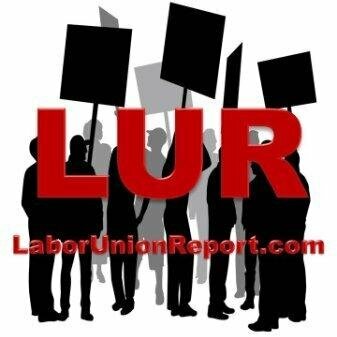 This ensured that government would be the ultimate protector of worker’s rights and the arbitrator of all labor disputes, something American labor leaders like Richard Trumka and Jimmy Hoffa Jr. have been advocating for years. Farmers received subsidies and guaranteed prices for their crops in exchange for increased government supervision over what they grew and how they did it, and were given loans for tools, livestock and seed, as well as labor to work their farms by the state if needed. While Hitler recognized the sanctity of private property, he also was emphatic that the government should have the power to regulate the use of private property for the good of the nation since it had been acquired with the help and use of public personnel and infrastructure, thus anticipating Elizabeth Warren by over seven decades. At Hitler’s direction, his finance minister Hjalmar Schacht, instituted Keynesnian policies with large deficits and low interest rates combined with stimulus programs of pubic works to reduce unemployment. Hitler also mandated price freezes to prevent a recurrence of inflation. He started numerous public sector programs that actually got built, including the construction of dams, the autobahns, railroads, and public buildings, as well as a military build up that later superseded the public works policies while maintaining high employment and job creation. Hitler financed much of Germany’s rearmament and rebuilding with promissory notes known as MEFO bills, which ensured that the 1% contributed their fair share of the cost. While Hitler’s government like FDR’s here in America ran a deficit, the MEFO bills allowed the German government to defer payment on goods and materials for needed projects while keeping Germans working and moving the economy forward. Another progressive idea was Hitler’s creation of the “Reinhardt Program” for growth that combined indirect incentives like tax credits and reductions with government investments in infrastructure. Hitler and the Nazis also were very involved in picking winners and losers among Germany’s corporate and manufacturing concerns, swapping preferential treatment, government contracts and loans and policies that benefited specific well connected and supportive companies in exchange for political and financial support for Hitler and his policies. In essence, Hitler made sectors of German business his partners in building the Third Reich while suppressing other, non-supportive players… certainly a tactic we’ve seen used recently with great success. Another aid to the German economic recovery was the gradual removal of Jews and other political enemies from business, the arts, the professions and civil service, about which more will be said later. German unemployment, which stood at six million in 1932, had been reduced to one million by 1936, the year the world saw a refurbished and invigorated Germany first hand as it hosted the Olympics. Like his economic program, many of Hitler’s social programs also struck a resounding progressive chord. Hitler revamped Germany’s healthcare system and made it truly universal as well as state subsidized. Hitler and the Nazis considered healthcare to be the right of all Germans, and there were numerous public-health campaigns in Nazi Germany urging healthy eating and exercise, and even no smoking campaigns at a time when cigarettes and cigars were being puffed with abandon worldwide. Water supplies were cleaned up, lead and mercury were removed from consumer products, and women were urged to undergo regular screenings for breast cancer. 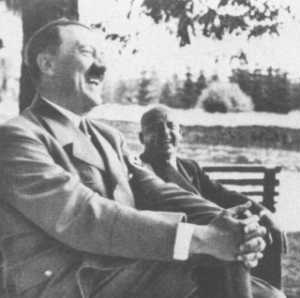 Hitler enacted strong environmentalist legislation, such as the 1935 “Reich Nature Protection Act” which sought to control air and water pollution, reduce the use of coal and promote forest management and preservation. While the necessities of WWII eventually overrode many of these laws, it’s no exaggeration to refer to Adolf Hitler as a staunch environmentalist, and an outspoken champion of animal rights. 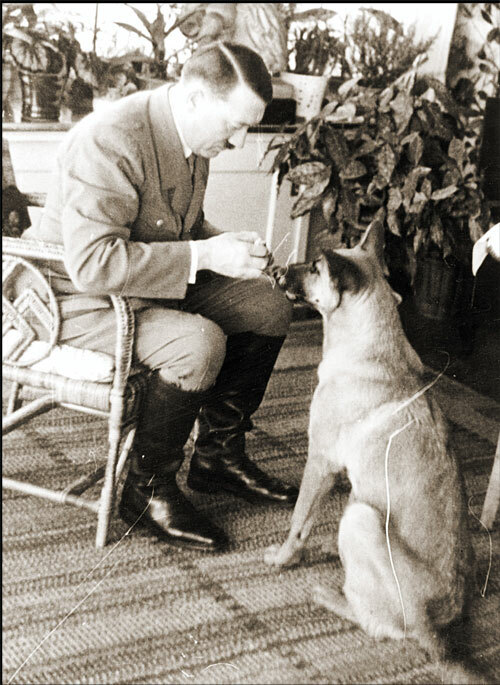 As an animal lover and a strict vegetarian whom PETA would have been proud of, Hitler saw to it that extensive animal rights laws were passed, and even made an effort to ban hunting. He was a pioneer in this regard also. Many of the current animal welfare laws in Germany are adapted from laws originally introduced by Hitler and the Nazis. But where Adolf Hitler showed himself a true progressive was in his interest in education and children. All teachers were required to join the German Teacher’s League (Nationalsozialistischer Lehrerbund) and were required to attend seminars and classes in teaching progressive values in the classroom. All German university professors were required to be members of the National Socialist Association of University Lecturers. For Germany’s children, Hitler formed two compulsory organizations, the Hitler Youth for ages 14-18 and the Jungvolk, for ages 10-14. They were trained in Hitler’s progressive national Socialism, wore uniforms, performed public service, did physical fitness and were given meals and other benefits by the State. For girls, there were the League of German Maidens and the Young Girls League where girls along with similar activities to the boy’s groups were taught homemaking skills. Both the German Maidens and the Hitler Youth had to complete a year of ‘land service’ working on Germany’s farms or performing other public service. German women were encouraged to be mothers and homemakers, and had their own organizations, the National Socialist Women’s League and the Strength Through Joy movement. 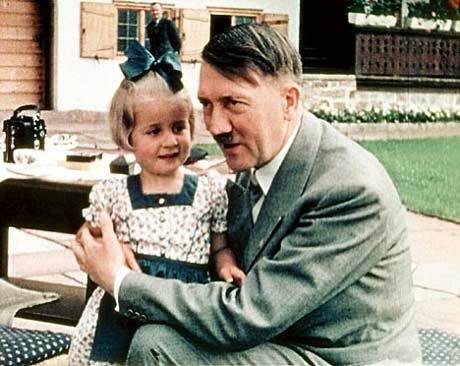 Hitler deviated from the progressive ideal in that he was not a feminist, although he employed women as secretaries and was universally remembered by all of them as an ideal, courteous and sympathetic employer. Nor did he favor abortion on demand. But you have to consider both the prevailing social climate and morals of that time and place, the fact that much of Germany was Catholic, and the fact that he knew Germany needed a larger population to fulfill his political and territorial ambitions. 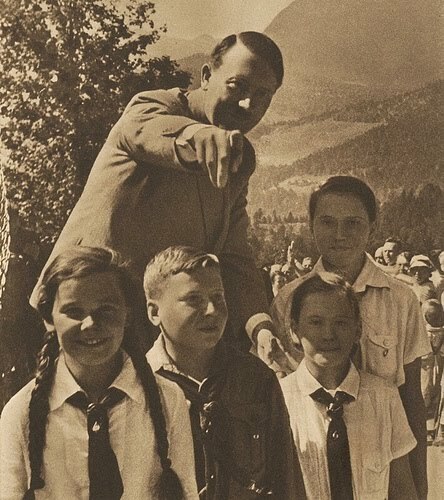 To Hitler, Germany’s children were its future. But in reality Hitler actually did introduce certain progressive policies in this regard as well. The Nazis enthusiastically embraced eugenics and had no qualms about abortion and sterilization for those they considered unfit, weak minded, or inferior. In this, they agreed with progressive heroine Margaret Sanger, likewise a strong believer in eugenics who formed Planned Parenthood expressly with the idea of limiting non-white births and the reproduction of ‘the unfit’. The Nazis were also quite open about the need to ration healthcare when it came to what they called ‘useless mouths’, This included the mentally ill, the disabled and handicapped, and in many cases people whom were simply terminally ill. Almost 300,000 people – that we know about – were killed by lethal injection in this way, not in concentration camps but in German medical facilities. Horrific as this may seem to some, this bears remembering when we look at the conversations about healthcare in our own time and examine the views of some of President Obama’s healthcare appointees. Hitler may once again to be proven to be a pioneer. One of the major problems progressives have with embracing Hitler totally are his racial policies, particularly the ones directed at Jews. He also was anti-gay, although several prominent Nazis are rumored to have been gay or at least bi-sexual. Yes, these policies were problematic, even horrible. But if we examine these policies in detail, we find them to be largely a product of the existing political and moral climate of that time. Certainly that shouldn’t stop progressives from celebrating Hitler’s achievements while disapproving of some of his excesses and mistakes. Anti-semitism in Germany has a long history and was a mainstream attitude in Germany’s social and political culture, as it was in much of Europe and perhaps remains so even in our own time. When Germans talked about profiteers, speculators and the financiers they blamed for the hyperinflation and the miseries of the Depression, not a few of them meant ‘Jews’, and certainly not just in Germany. Some of the progressives here in America like Father Coughlin and his Silver Shirts, among others, certainly employed similar language and code words. Our own times are certainly not divorced from this. As the idealistic protestors of the OWS movement and other parts of the progressive movement have shown us, many of them use terms like ‘banksters’, ‘Wall Street’, ‘neocons’, ‘zionists’ and the like as code words for ‘Jews’ today, and mask actual anti-semitism under the cover of ‘anti-Zionism’. Obviously, these particular progressives in America have never gone quite as far as Hitler did when it came to Jews, but it’s also true that they’ve never had the power to do so either, and that anti-semitism in America was never as much of a mainstream popular belief as it was in Europe. But in Germany in the 1920’s and 1930’s, it definitely was. And Adolf Hitler, as a populist progressive, gave voice to those feelings, just as he also reflected the popular attitude in the Germany of his time towards homosexuals. If Hitler were alive here in America and say, running as a Democrat for the Senate in California or Massachusetts, would gay bashing even be one of his issues, at least on the surface? Would opposition to abortion? Of course not. Hitler was a pragmatic and canny politician. If anyone asked, or even pointed to something he’d written or said, he’d simply say his views had evolved on the subject. And if he had, shall we say, certain views on Jews, he would undoubtedly be able to express them in vague terms about the need for a two state solution, a public embrace of the Muslim Brotherhood and its various front groups, endorsing military aid to anti-semitic Arab regimes or maybe even a few quips about the Jewish lobby or the need for daylight between America and Israel. There’s no doubt in my mind that in many respects, a modern Adolf Hitler with evolved positions on abortion and gay rights would be an acceptable candidate for office in our own era. I could certainly see the New York Times endorsing him! 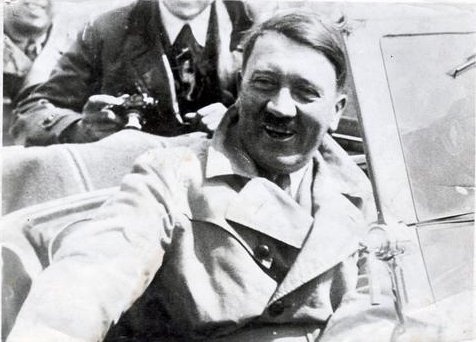 Without the unfortunate history, the errors and excesses that stigmatized him, today’s progressives would feel much better about embracing a true pioneer of their movement – Adolf Hitler. And you’re actually stupid enough to believe that faker-than-a-$3-bill story. “Obviously, these particular progressives in America have never gone quite as far as Hitler did when it came to Jews”….. The “Tea Party Patriots”, and the “Clingers” are todays “jews” to the progressives in America. The “Tea Party Patriots” are more like today’s Nazis. in what way-typical of a liberal no facts just assertion! Patriots and Tea Party are being persecuted by Traitor in Chief team of Nazi. obviously ‘cal’ is just another low information voter, following his master off the cliff. Sad and pathetic! Please educate and inform yourself cal before it is too late. Hitler was very progressive, that fact can’t be denied, today’s progressives like to deny where they originated from.